Caring for a spur-thighed tortoise can be one of the simplest things to do if you understand the reptile and their life cycle. This will help you know what to feed them as well as what time to feed them. In addition their environment needs to be cared for to make them feel at home. A spur-thighed tortoise is scientifically referred to as Testudo graeca. On average, they are between 20cm to 25cm for an adult. Amazingly, they have a lifespan of 100 years and above. While they are normally out in the wild, they make very good home pets. Due to their lifespan, they can be handed over from one generation to another. To maintain their lifespan, they need to feel right at home and this is not about making them comfortable around you. This is about providing them with a home that is a replica of that in their natural habitat. This reflects on the housing, feeding habits, hibernating, breeding as well as their general health care. The key is to bring their home to them considering that they cannot go back to their natural habitat. When seeking to own a spur-thighed tortoise, it is best that you buy from a well-recognized pet store. Alternatively, you may purchase your pet from an individual who has the know-how on this species of animals. This is important as it is the only sure way of assuring yourself that you are purchasing a healthy tortoise. Health is relevant to both physical damage as well as protection from diseases and unforeseen ailments. In addition, you will be able to receive relevant information on their history as well as relevant information on how to care for the pet. Spur-thighed tortoises are sensitive and they must be provided with the right diet to ensure that they live long and do not fall sick from lack of some nutrients or an excess of unwanted nutrients in their diet. Always ensure that their diet is healthy with sufficient amounts of water. Their diet should contain low amounts of fat and proteins, high amounts of fiber and the diet should be rich in calcium. This diet seeks to promote the better functioning of their digestive tract and their overall growth. More commonly, it is important to note that their diet is majorly of leafy greens and does not comprise of anything that is too sugary. High sugar content causes diarrhea for spur-thighed tortoises. You can include a calcium supplement in the diet to boost nutritional value of foods. Spur-thighed tortoises rely on dark leafy greens such as dandelions, clovers, endive, plantains etc. to provide the right nutrition. All foods rich in sugars should be avoided in this, fruits should never make for a major percentage of this tortoise food. These tortoises are mainly herbivorous so the foods should never contain meat. However, the by-products are allowed such as milk. Ensure that there are always sufficient amounts of water. All foods should be natural to avoid any chemicals. Their feeding area should be kept clean at all times. Housing this species does not require much but you need to be careful to ensure that you use the right material and that the home is the right size depending on the number you own. It is advisable that you choose wooden vivarium to build their house as it is better at retaining heat which provides a suitable environment for the tortoise. These animals are not fast so the space is equally not as large. For young spur-thighed tortoises, a vivarium of 36” x 18” x 18” is sufficient while an adult can occupy 48” x 24” x 24” is enough. In the house, provide the tortoise with artificial plants to mimic their natural habitat and items it can climb on. They may be slow but they are definitely active. Ensure that the homes humidity is low with a temperate environment. It is advisable to consider outdoor housing as opposed to indoor housing as it feels more in its natural habitat. If it is housed indoors, ensure that you install a full spectrum fluorescent light for UVB to boost vitamin D3 synthesis. Also, include a hide box to provide your pet with a place to retreat and cool temperatures. Hibernation is a natural process and they should be allowed to hibernate. Noticeably, they hibernate with the decrease of light intensity and the drop in temperatures. This period may differ but on average, they will take about 4 to 6 weeks to hibernate. However, there are instances when hibernation is prohibited. If your pet has wounds, an infection or is sick, do not allow him to hibernate. Also, check if his mouth is pink and clean while the eyes are bright. Looking at his weight record, if he is underweight during this period, it is best he keeps feeding rather than hibernating. 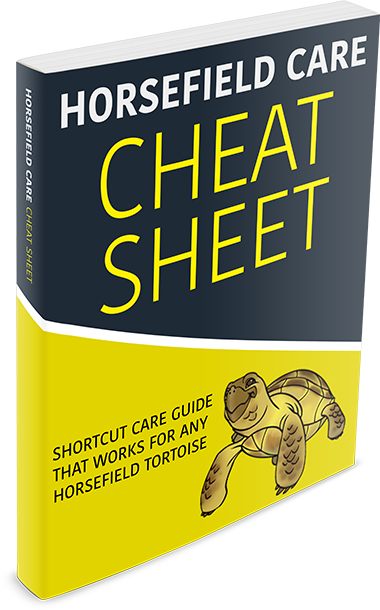 A care sheet helps the pet owner monitor the growth as well as wellbeing of the spur-thighed tortoise. In this, you will be monitoring his weight, size depending on age, feeding habits, as well as monitor temperature requirements. By monitoring these important aspects, you are able to tell when the tortoise is not feeling well and when they need medical attention. By monitoring their feeding habits, you are also able to tell if the food you are providing is sufficient in terms of quantity as well as in terms of nutritional value. Some pets tend to have a liking for some foods and they may reject some. Spur-thighed tortoise care is monitored through understanding your pet’s habits. The recommended temperature for spur-thighed tortoise care is 78F during the day and 65F during the night. Caring for this species of animals can be very simple if you get to understand their requirements. With a detailed care sheet from your vet, your pet has a long life ahead of him and all you need do is follow up and monitor your pet. The right care ensures that he remains healthy and physically fit.